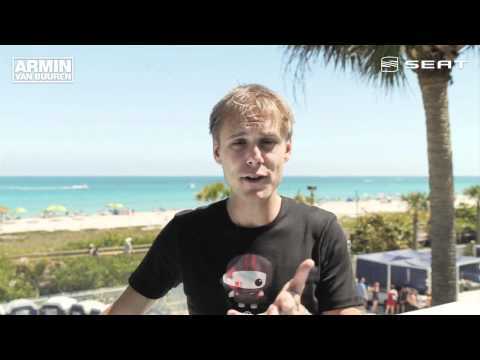 SEAT's Next DJ: Armin & SEAT search for new Dutch DJ talent! Armin van Buuren, Armada Music and SEAT have launched a very special collaboration: the search for new DJ talent in The Netherlands. Dutch bedroom DJ’s now have a chance of showing their skills and have their big breakthrough in the dance scene, with a DJ set at A State of Trance 500 and Electronic Family at stake. Talented DJ’s, pay attention! If you’re interested, the SEAT Next DJ contest is now open for your admission. To enter the competition, upload a video of yourself mixing a 30 minute set, as well as presenting yourself and telling us a bit about yourself. Entries will be judged by a professional jury, consisting of SEAT’s Next DJ partners: Radio 538, Metro, Pioneer/Pioneer DJ School and of course Armada Music. If you’re quick, you might just be one of the 4 first subscribers, in the running for a much-wanted spot on the A State of Trance 500 line-up in the Brabanthallen in Den Bosch on April 9th. Of all entries, 8 DJ’s will be selected and given the task of creating a guest mix for Sirius XM, one of the biggest and most popular radiostations in the US. Selected by the jury, the two best guestmixes will continue their battle in the finale. Eventually, the public and jury will choose the winner of SEAT’s Next DJ, with the absolute first prize awaiting him or her: a DJ set at ‘Electronic Family’ in Amsterdam, the biggest outdoor trance festival in the world. Create a mix of 30 minutes and record it. Introduce yourself with a short presentation, record it. Send in your video via seatnextdj.nl. The public can leave their vote on the website and in early May, the 8 favourite DJ’s will be announced. If you’re quick, you’re in the running for one of the four spots in the SEAT’s Next DJ stage during ASOT 500 in Den Bosch on April 9th. The 8-semi finalists will be working on a few assignments, amongst which a mix for Sirius XM. In the end, the ultimate battle will take place in July, when Armin van Buuren and the public will decide who will be named the winner of SEAT’s Next DJ. The winner will have his/her first gig at Electronic Family, the biggest outdoor trance event in the world, taking place on July 30th in Amsterdam. Are you in? Check www.seatnextdj.nl for more info!